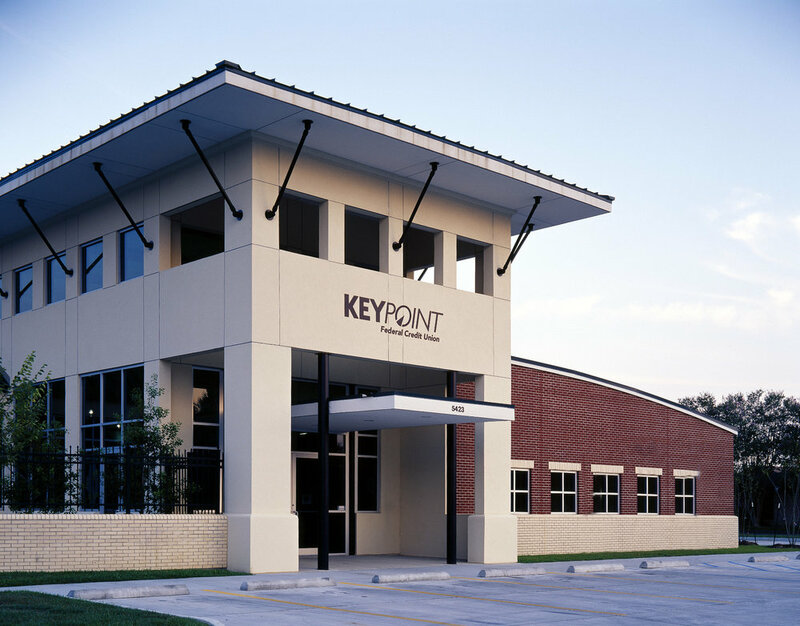 KeyPoint Federal Credit Union determined that it was time to expand their operation and create a new image. This 6,900 SF headquarters location is on a major thoroughfare in Baton Rouge. 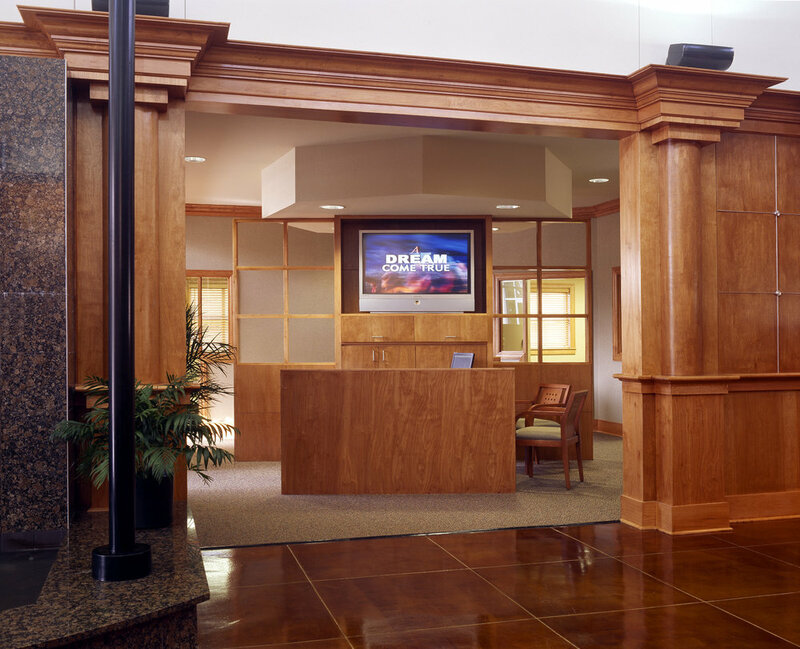 The facility houses their administrative offices as well as banking functions. The main lobby is designed to be a gathering space with the feel of a plaza. The high space has suspended lights and “street” lights. The lower portion of the walls are wood paneling with wainscot and columns. The upper portion is a light color to create a “sky” above the space. The vault walls are granite clad with the lobby side a cascading water wall. The fountain area at the water wall provides perimeter seating along the edge. The main lobby tellers have an open wood trellis overhead to create a more intimate space over this function. At night, the building glows with the main lobby space shining through the high windows at the center mass.